Are you contemplating hiring a Chartered Professional Accountant for personal, business or for a non-profit organization? Here are a few reasons why it's totally worth it! 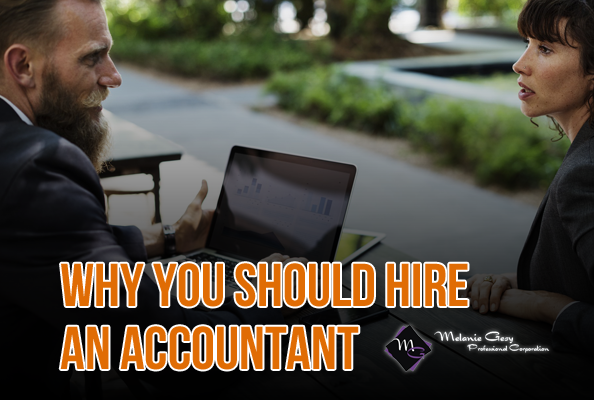 Have you refrained from hiring an accountant because you think it will cost you an arm and a leg? Think again! An accountant's job is to go through your financial records, when doing so they can look for flaws and create a plan of action for you to have a better financial well-being, meaning they will save you money. Accountants can also make sure that you're paying the least amount of taxes while also staying within the law, and even can offer you advice about your assets and property. Remember quantity doesn't always mean quality, just because you find an accountant who is cheap doesn't mean they are going to get the job done correctly! If you really think about all the money you're saving when you don't hire a professional accountant it doesn't cover all the time you're wasting trying to figure out confusing and annoying paperwork. Because you hired an accountant to watch over your expenses, payroll, insurance, leases and everything else on your plate, you now have tons of time on your hands! You can now focus on your business or your family instead of worrying about your finances. Taxes are complicated. In an event of an audit, an accountant can take the burden off of your shoulders and make the whole experience less painful. Since the government is often changing and updating certain laws, as a regular person it's hard to keep up. Your accountant will stay updated with any changes and will know how they will affect you and can make recommendations on how to proceed. Was Math your Worst Subject? For many people they rather get a root canal then have to sit down and figure out all the math that goes with their taxes. Accountants love math, so they are naturally better at understanding taxes than math-hating individuals. Chartered Professional Accountants are more likely to be accurate than somebody who doesn't fully understand how the math behind taxes works. You accountant will keep you out of trouble when it comes to employee compensation, the Canada Revenue Agency (CRA) needing more paperwork, even issues with your payroll, and anything else that could go wrong when it comes to your business or personal taxes. They will monitor your reports and often will receive notices of an issue and handle the situation quickly even before you realize there was a potential problem.